Tide + surge + wind over water (fetch) = what you need to know. You need to take the height of the expected storm surge, the time it is expected, and compare that time to the tide cycle in the harbor. Places are most vulnerable at the point of high tide. To calculate projected surge risk at that point, you have to add the height of the incoming water to the height of the tide at that time. Wind also has an effect on the water within the harbor in terms of creating local waves. Here is a definition of fetch. An area of the water surface over which waves are generated by a wind having a constant direction and speed. Also, it is the name given to the length of the fetch area, measured in the direction of the wind from which the seas are generated. One of the ingredients for lake effect snow is the fetch of the water over which cold air can gain moisture. The big Upper Bay (between Red Hook, the Statue of Liberty and Staten Island) is a big water space which can create fetch issues if the wind is coming from west or southwest. Tide + surge + wind over water (fetch) = more water hitting the shore at peak of crashing waves. In Red Hook, there were also many underground springs, so sometimes flooding here comes from groundwater welling up and not just seawater coming in. 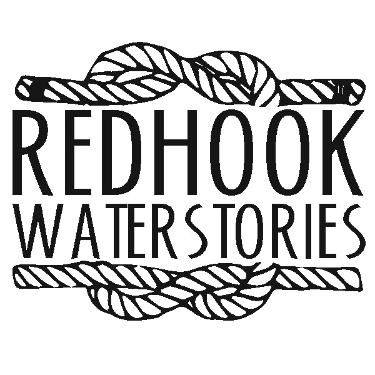 Add to that the water coming from overflowing sewers, and Red Hook can have water coming in from many sides. 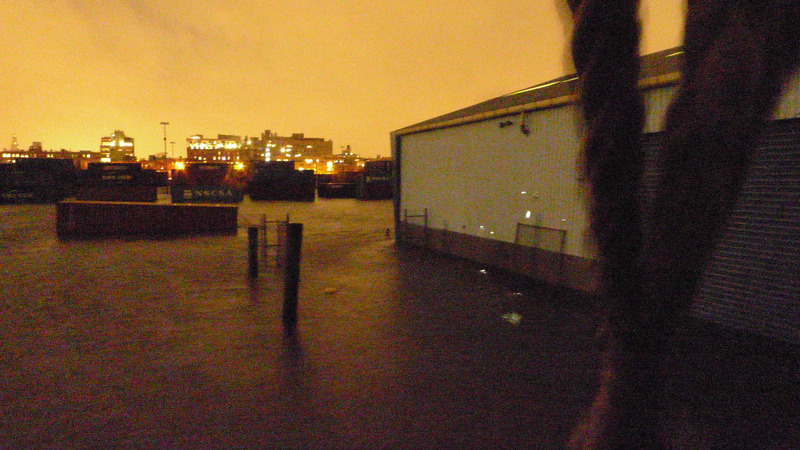 Fun historical fact: There is Red Hook area close to the harbor which did not flood during Sandy, that is the square defined by the blocks of Dikeman, Coffey, and Van Dyke Street between Conover & Ferris Street. That is where there used to be a high hill near the Revolutionary War era Fort Defiance (the fort for which the local restaurant is named), a hill which was leveled to fill the low land near it. The site of that hill remains higher than the filled area near it. This Item is related to Item: "Plan of the Town of Brooklyn and Part of Long Island"